Andrews McMeel Publishing, 9781449493684, 128pp. Freshly baked bread. Cloud-like pillows. Lavender tea. 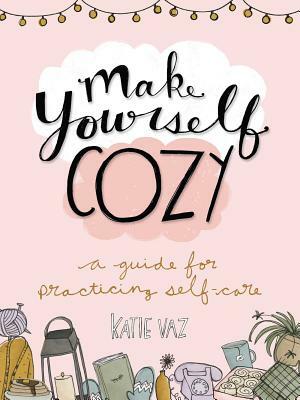 Katie Vaz’s book on self-care shows readers how slow, cozy warmth can help them deal with the anxieties and challenges of everyday life. Filled with tips for creating the perfect atmosphere of coziness (super soft blankets, fluffy robes, and something binge-worthy on TV) as well as sweet, gentle prompts that inspire readers to fill in their own content (“Fill these clouds with words that make you feel light and free”), this book encourages all of us to slow down and find joy in the little things.